ID: Large sized adults. Vertical ridge in mantle, lack of three bumps under eye. Comments: Giant Pacific octopus are an icon of Northwest waters. They are the largest octopus in the world and typically live only 3 to 5 years in which time they can reach weights of over 80 pounds. Octopus die after breeding. These Houdini-like mollusks can quickly change skin texture, shape, and color (reds, browns, and whites). Comment: I have had some marvelous encounters with these inquisitive squid on night dives at Three Tree Point during late fall/winter months. 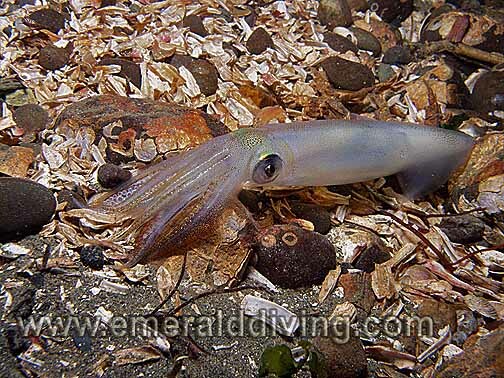 These squid lay massive rafts of egg pouches in shallow waters. Like its cousins, the opalescent squid can rapidly change or pulse colors, including whites, reds, and purples. After encountering this intelligent animal in its own surroundings, I could never eat calamari. ID: Three small bumps below eye, no vertical ridges in mantle. Comments: The nocturnal red octopus is a common companion during night dives. 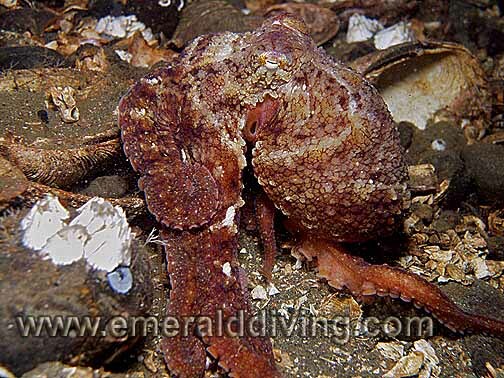 I normally encounter at least one or two of these octopus hunting in the open when night diving Three Tree Point. 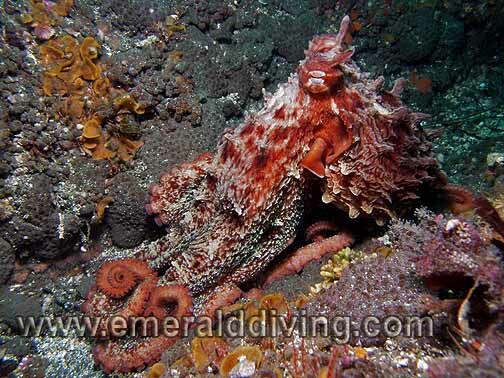 Likes its larger cousin, the red octopus has the ability to change color (reds, whites, and browns) and texture. ID: Stubby compact body with 10 arms. �Wings� on the side of the mantle. 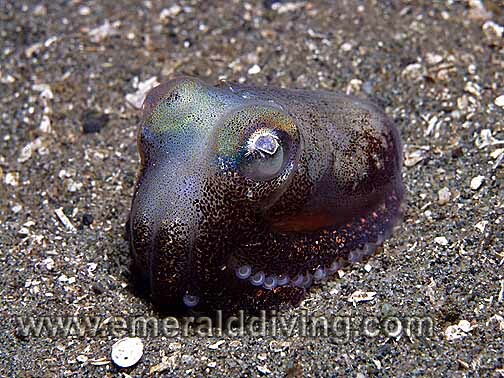 Comments: I typically note these remarkable squids when diving soft substrates around reefs. The stubby squid has two long tentacles that it uses to snare food, such as small shrimp. Although this squid can quickly change color (reds, purples, and whites), it often buries itself in the sand when it feels threatened. ID: Pearl white tear-drop shaped clusters. 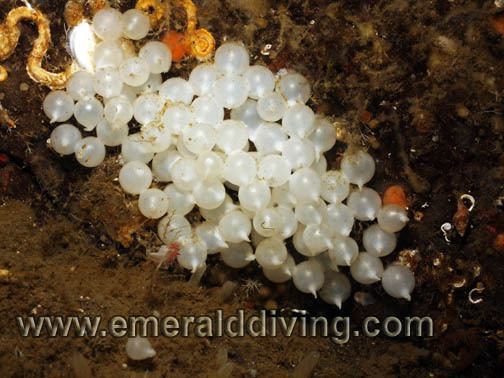 Comments: I rarely note these remarkable egg clusters - in fact I have only seen them four times in over 1200 dives in Northwest waters. 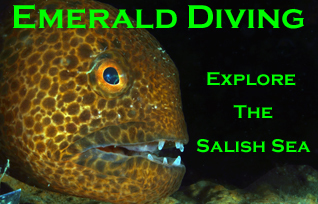 Photographed at Pulali Point Wall in Hood Canal.